SANTA MONICA, Calif. — Kazuto Ioka bought tickets online and valet-parked at the Forum. The recently retired three-division world champion was just another spectator eating a hot dog in the stands last winter while some of the world's best super flyweight boxers put on an outstanding show. 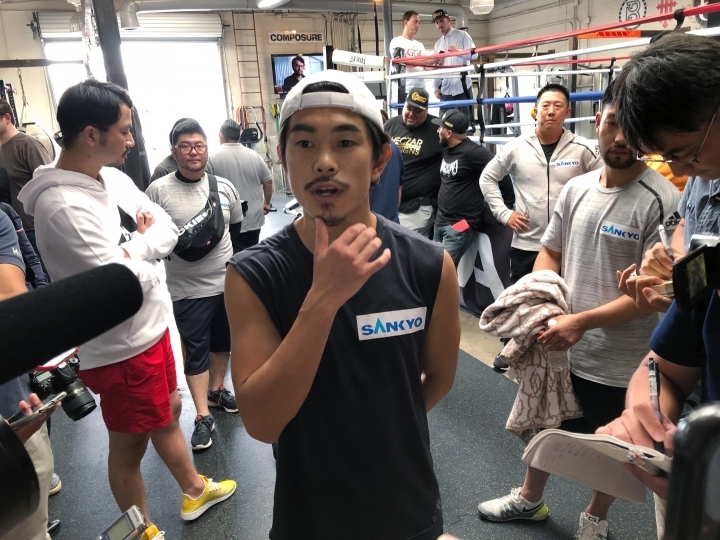 "I had never seen the fighting environment in America," Ioka said through a translator after a workout this week at the Wild Card West gym. "I got that feeling inside of me that I wanted to fight. All of the fighters who went in there on that show, I was imagining myself fighting all of them. I just wanted to be in there." He'll be in there Saturday night for Superfly 3. Eight months after he hung up his gloves, Ioka (22-1, 13 KOs) will fight outside Japan and at 115 pounds for the first time in his career. He is in an intriguing matchup with Puerto Rico's McWilliams Arroyo — one of the fighters Ioka watched from the stands in February. Thanks to promoter Tom Loeffler, Ioka even got his wish to fight in the latest chapter of the Superfly fight series, which showcases the world's top talent in the super flyweight division and thereabouts. Another live-wire crowd filled with LA's loud, knowledgeable boxing fans is guaranteed for a show headlined by a 115-pound matchup between Mexican stars Juan Francisco Estrada and Felipe Orucuta, along with a WBO super flyweight title fight between the Philippines' Donnie Nietes and Aston Palicte. 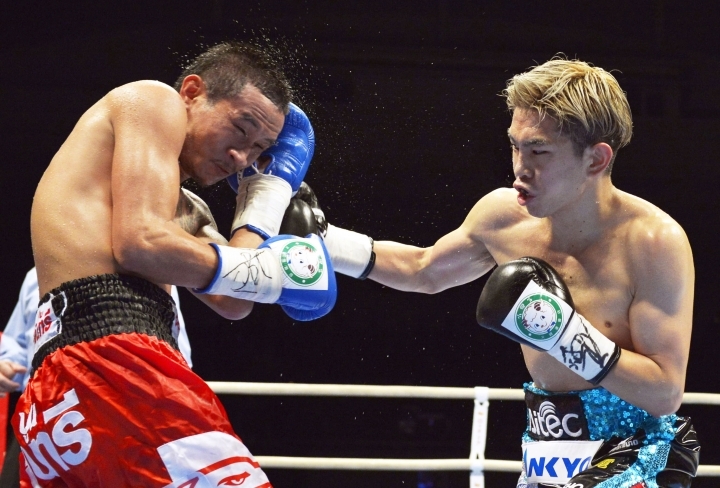 The 29-year-old Ioka's comeback bout is a similarly compelling spectacle. He might have been the world's top 112-pounder last winter, and even though his "retirement" only lasted about three months, his return is filled with uncertainty about his sharpness and strength at a new weight. "It's hard to put it in words, but in Japan, there was nothing for me," Ioka said. "I had reached my goals, so there was really nothing there." That trip to Inglewood rekindled the spark, and he got back in the gym shortly afterward. His management company reached out to Loeffler, the promoter behind both Gennady Golovkin's international rise and the Superfly shows, to see if Ioka could fight at the Forum. "I knew his name, but I had to look him up," Loeffler said. "He had been champion for so long, but only fought in Japan. I've become kind of an expert now in the super flyweight ratings, finding out which guys can fight, or if he needs a visa. It's very gratifying working with these (smaller) fighters, because they look at me as an opportunity to provide them with a platform, and I look at them as great guys, great fighters who will put on a great show for the fans." With his father's apparent approval, Ioka left Japan to train in Las Vegas under Ismael Salas, Hiroki Ioka's former trainer. Ioka wanted a fresh start, and he got it in the desert. After winning major belts at strawweight, junior flyweight and flyweight, Ioka has decided he would like to become Japan's first four-division world champion. He'll be in prime position for a shot at the WBC super flyweight title if he can get past Arroyo, an ex-Olympian and title contender who returned from a 22-month layoff at Superfly 2 last February and upset Mexico's Carlos Cuadras. "It's a big challenge, but it means a lot to me," Ioka said. "I want to keep going for all the people that have supported me."